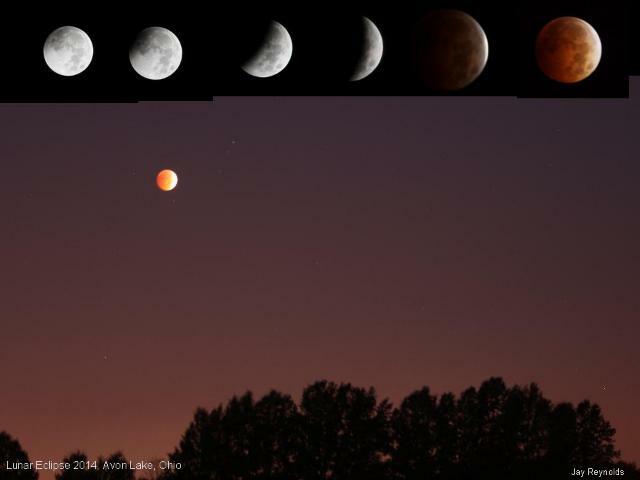 The sky was clear and the early morning weather chilly for the beautiful total lunar eclipse of October 8, 2014. 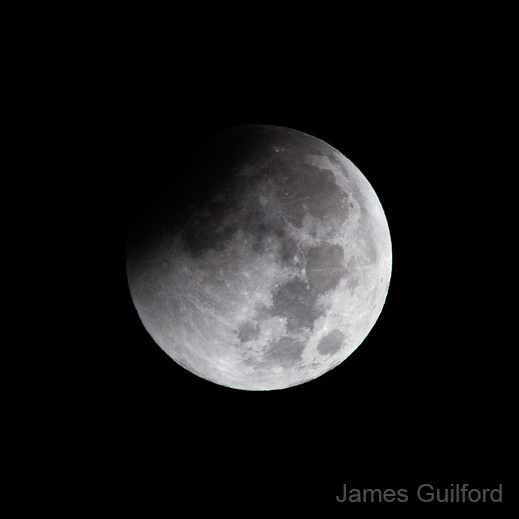 Cuyahoga Astronomical Association (CAA) members watched the event from around the Northeast Ohio Area and in one case, from another state while on vacation. The Mapleside Farms parking lot in Brunswick was a popular gathering place. The restaurant and fruit market is perched on the eastern rim of the expansive Columbia River valley affording the most distant horizon, most open sky locally available; the eclipse reached totality with the Moon low in the west – near moonset/sunrise – so visibility low to the horizon was important! CAA President Bill Murmann reported two club members, true early-birds, arrived at the lot at 3:30 AM! As the eclipse progressed others, including Murmann, arrived. Skywatchers now await a partial solar eclipse — an event naturally paired with lunar eclipses — hoping for clear skies the afternoon and evening of October 23. After all, why not have a second show when everything’s already lined up? This entry was posted in Uncategorized and tagged astronomy, astrophoto, lunar eclipse, solar eclipse. Bookmark the permalink.